The declining incidence of serious fevers in well-medicated parts of the world over the last century has brought with it the disappearance of the routine experience of delirium, a common feature of many diseases. Sometimes referred to as acute (and thus temporary) insanity, the term was never well defined, even while the phenomenon was familiar: even the doctors who treat it usually knew it firsthand. I am concerned in this lecture with discussions about how to understand and respond to delirium during what may be called its golden age from 1650 to 1850. This is variously a matter of the introspection of individual sufferers (“am I me or not me”? ); of the efforts of families and communities to accommodate and to cope with difficult, disturbing, and dangerous situations; of challenges to careers and practitioners seeking to manage and resolve cases; and as a matter of interest for patho-physiologists and psychologists who will analyze, categorize, and assess, and for whom delirium is both data and the basis for the exercise of expertise. While the subsequent loss of delirium as a familiar state is partly a function of the changing incidence of disease, it is also an accident of trajectories of disciplinarity and institutionalization. That loss is also, however, a loss of a curious cultural space for accommodating human variability and human diversity. "Antipoverty or Public Health Program: The Framing and Reframing of WIC"
Temporarily authorized in 1972 and permanently authorized in 1975, the Special Supplemental Nutrition Program for Women, Infants, and Children, popularly known as WIC, has grown into one of the largest American public health and welfare programs. Approximately half of all infants in the US, a quarter of all pregnant and postpartum women, and a quarter of all children less than five years of age participate in it.It is surprising, then, that the origins and early evolution of WIC have received scant attention from historians of public health, social welfare, maternal and infant health, and nutrition and food assistance policy. As a consequence, the early history of WIC has largely been framed by those government entities involved in its oversight, funding and operation and by various maternal and infant health advocacy groups. Usually deploying one of what has over the years become two standardized origin narratives, these histories frame WIC as a public health nutrition program that was established to improve birth and maternal and infant health outcomes and has been very successful in doing that.Drawing on research done for a chapter of a new book project—a reconstruction and analysis of key moments in the 20 th and 21 st century American sociomedical and policy discourse on the relation between poverty, poor nutrition and poor health in children—this lecture will challenge and complicate the official WIC narratives and locate the origins and early history of the program not only in what at the time was a renewed effort to reduce infant mortality and improve infant health, but also in the development, proliferation and employ by advocates of food assistance for pregnant women and their infants of emergent theories on the relationship between in-utero and early childhood nutrition and cognitive development and subsequent life outcomes. In general it will attempt to demonstrate that initially the maternal, infant and early childhood nutrition that WIC would provide was also and indeed primarily framed and promoted as an effective antipoverty measure at a time when both Congress and the Administration were disenchanted with the types of antipoverty programs already in existence and were resistant to establishing new assistance programs. "The Education and Training of American Surgeons, 1880-1960"
The education, and definition, of the American surgeon changed dramatically between 1890 and 1955. Whereas in the late 19th and early 20th centuries general practitioners performed the majority of operations in this country, by 1955 formally trained surgeons completed them. Residency became the vehicle of their education and professionalization. Residency refers to the structured years after medical school that provide the didactic knowledge, practical experience, research exposure, and mentorship needed to train a specialist. Between the 1930s and 1950s, surgical residency transformed from a rare and highly variable experience for elite, academic practitioners to standardized and mandatory education for all American surgeons. Thereafter, the American public and the medical profession came to define a surgeon as someone who had passed through a rigorous residency. My talk explores the creation and especially the institutionalization of surgical residencies as they transitioned from rare, ad hoc, and highly variable experiences in the early 20th century to the ubiquitous, structured, and mandatory processes that exist today. Justin Barr is a resident in general surgery at Duke University. He earned his undergraduate degree in history at Washington University in St. Louis before matriculating into medical school at the University of Virginia and graduate school at Yale University where he defended his dissertation examining the process of change in surgery by focusing on the operations to repair arteries. As an MD/PhD surgeon-historian, he is looking forward to integrating both fields into a meaningful and productive joint career. The story of health care reform in the United States usually focuses on national leaders, from Theodore Roosevelt in 1912 to Barack Obama in 2010. But there is also a different side to the story: the grassroots movements that have fought for and over health reform during the past century. This talk discusses the history of agitators, organizers, and ordinary people seeking to participate in debates over the nation’s health, from immigrant workers in the early 20th century, to civil rights activists and senior citizens in the 1960s and ‘70s, to groups battling over the Affordable Care Act today. Beatrix Hoffman is the author of Health Care for Some: Rights and Rationing in the United States since 1930 and The Wages of Sickness: The Politics of Health Insurance in Progressive America. 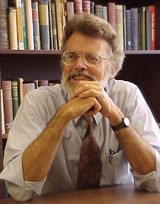 Barron H. Lerner, M.D., Ph.D. This talk will explore the history of screening for disease, arguing that successful campaigns have at times had as much to do with a perceived imperative to screen as much as scientific data proving their value. As we struggle to use mammography, prostate-specific antigen (PSA) testing, cholesterol levels and other tests most appropriately, it is worth reviewing the complicated ideological, financial and cultural factors that promote a screening mindset. Click here to see an earlier version of this talk. 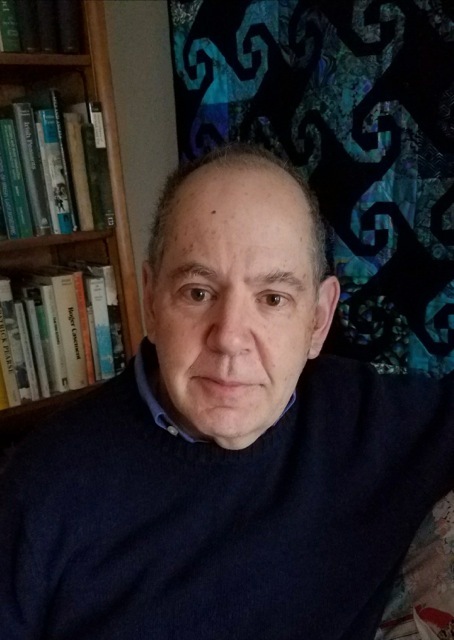 Barron H. Lerner is a Professor of Medicine in the Divisions of General Medicine and the Medical Humanities at New York University Langone Medical Center. Dr. Lerner received his M.D. from Columbia University in 1986 and his Ph.D. in history from the University of Washington in 1996. His book, The Breast Cancer Wars: Hope, Fear and the Pursuit of a Cure in Twentieth-Century America, published by Oxford University Press, received the William H. Welch Medal of the American Association for the History of Medicine and was named a most notable book by the American Library Association. 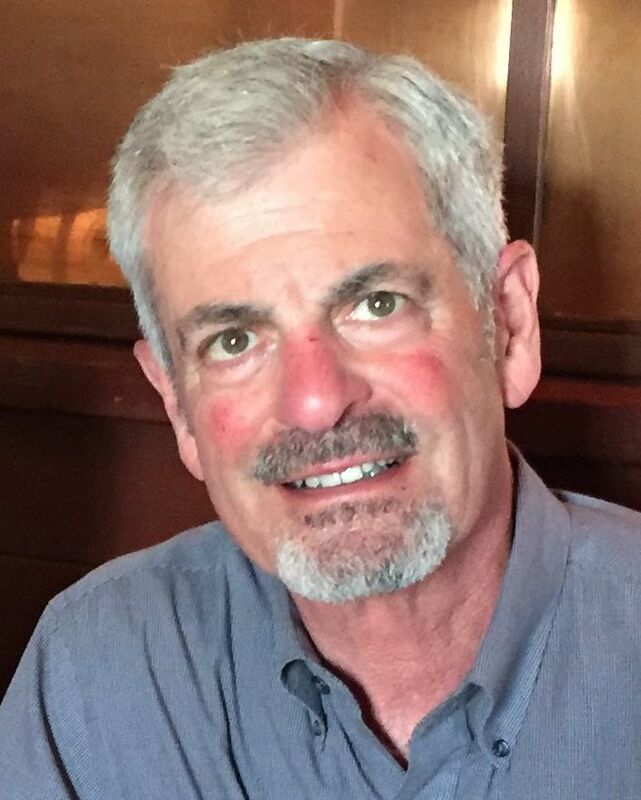 Dr. Lerner has published extensively in scholarly journals and contributes essays to Slate, the Huffington Post and the print and online health pages of the New York Times. He has also appeared on numerous NPR broadcasts, including “Fresh Air,” “All Things Considered” and “Science Friday.” Dr. Lerner’s latest book, One for the Road: Drunk Driving Since 1900, was published by the Johns Hopkins University Press in October 2011. 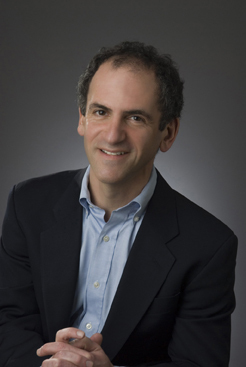 In addition to his research, Dr. Lerner practices general internal medicine and teaches medical ethics and the history of medicine. Anne-Emanuelle Birn is Professor and Canada Research Chair in International Health at the University of Toronto, Dalla Lana School of Public Health. Her research explores the history of public health in Latin America and the history and politics of international health, with particular emphases on child health and global health philanthropy. 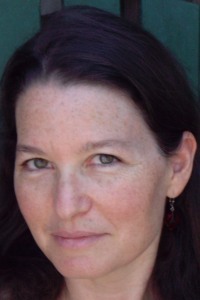 She has published widely in North American, Latin American, African, and European journals. Her ongoing interests range from the scatological to the ideological. Her current book manuscript examines the history of the international child health/child rights movement from the perspective of Uruguay. Marriage of Convenience: Rockefeller International Health and Revolutionary Mexico (University of Rochester Press, 2006). Textbook of International Health: Global Health in a Dynamic World, 3rd edition (Oxford University Press 2009) with secondary authors Yogan Pillay and Timothy Holtz. and the forthcoming Comrades in Health: US Health Internationalists, Abroad and at Home (under advance contract with Rutgers University Press) with co-editor Theodore Brown. Safe and, at the same time, beset by challenges, Jewish refugees from Nazi Europe sought valiantly to gain a foothold in their new homes. 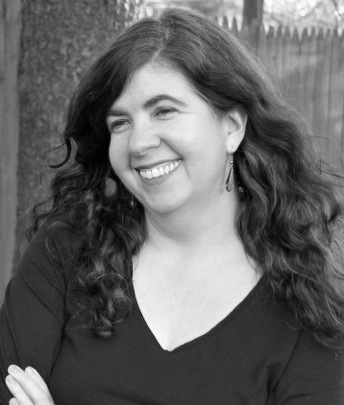 In this lecture, Holocaust historian and founding director of the renowned Strassler Center for Holocaust and Genocide Studies (Clark University) Deborah Dwork will drill down on the precarious situation of refugee Jews, offering a fresh perspective on a history with which many, including the Rosen family, have a personal connection. 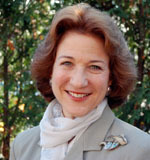 Deborah Dwork is the Rose Professor of Holocaust History and the Director of the Strassler Family Center for Holocaust and Genocide Studies at Clark University. Her now classic Children With A Star gave voice to the silenced children of the Holocaust; it was the first history of the daily lives of young people caught in the net of Nazism. Children With A Star received international critical acclaim and was translated into German, Italian, Dutch and Japanese. It was the subject of a documentary, also called "Children With A Star," by the Canadian Broadcasting Company. Auschwitz, co-authored with Robert Jan van Pelt, established the context in which historians now view that annihilation camp. Dwork and van Pelt argued that Germany sought to reconstruct Central Europe in its own image, and the Germans' program at Auschwitz was key to that ambition. They drew the critically important connection between industrial killing and the daily functions of a society that believed it was involved in constructive activity. The BBC and PBS recognized Auschwitz as a remarkable project, and produced the Horizon/Nova television documentary "Blueprints of Genocide" (BBC) / "Nazi Designers of Death" (PBS) based upon it. Auschwitz also provided the core of a seven-part series "Auschwitz: Inside the Nazi State," which was aired in January 2005 in conjunction with the 60th anniversary of the liberation of the camp. Auschwitz received the National Jewish Book Award and the Spiro Kostof Award, given every other year to the best book on the physical environment. It has been translated into German, Dutch, and Czech, to much critical acclaim. Anne-Marie Logan received her PhD. from the University of Zurich and moved to Connecticut shortly thereafter. She was first introduced to the study of drawings during her work on the Catalogue of European Drawings and Watercolors 1500-1900 in the Yale University Art Gallery (Yale University Press, 1970) in collaboration with Professor E. Haverkamp-Begemann. A 5-year grant from the National Endowment of the Humanities to begin a catalogue raisonné of all the drawings by Peter Paul Rubens (1577-1640) followed. 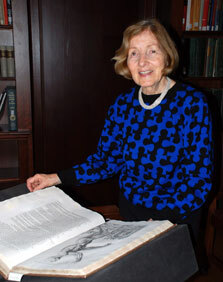 Her work at Yale continued in the British Art Center, where she was the head of the Art Reference Library, Photo Archive, and Computerized Index of British Art. Following her retirement George Goldner, Drue Heinz Chairman, Department of Drawings and Prints, invited her in 2000-01 to the Metropolitan Museum of Art, New York as the J. Clawson Mills Fellow. Soon after her arrival he suggested she organize an exhibition of about one hundred of the best Rubens drawings from collections worldwide to be shown at the Albertina in Vienna (2004, in German) and at the Metropolitan Museum of Art: Peter Paul Rubens: The Drawings (2005, in collaboration with Michiel Plomp; published by Yale University Press). Her manuscript of the Rubens drawings is scheduled to be published by Brepols in Belgium in 2012 as part of the Pictura Nova series. In 1987 ten, previously unknown anatomical drawings by Rubens came up for sale at Christie’s in London (July 6, lots 57-67). The present lecture will discuss how these and other Rubens drawings allow us to see how he learned and absorbed human anatomy. 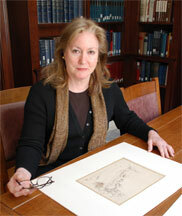 Susan Wheeler is Curator of Prints and Drawings, Cushing/Whitney Medical Library at Yale University. She has spent her professional career at Yale, much of it associated with the Medical Historical Collections where she has researched and documented the collection of prints and drawings, overseen an early conservation program, and is currently expanding the collection through an active acquisition initiative. She is the author of Five Hundred Years of Medicine in Art, an illustrated catalogue of the Clements C. Fry Collection of prints and drawings at the library published in 2001. In conjunction with the Yale School of Medicine's Program for the Humanities in Medicine, she introduces medical and nursing students to art in the history of medicine through discussions of illustrated books, prints, and objects in the Library's collections. The 2009 George Rosen Lecture "Thomas Rowlandson and the Anatomists: A Further Look at the Dissecting Room Drawings" commemorates Dr. Rosen's interest in art as a medium to be mined for historical information and his pursuit of art as a personal avocation. The lecture will highlight works from the Yale Medical Historical Collections which will be on view. John Eyler received his B.A. in history from the University of Maryland (1966) and his Ph.D. in history of science from the University of Wisconsin (1971). After a two-year postdoctoral fellowship in the history of medicine sponsored by the National Institutes of Health and the Josiah Macy, Jr. Foundation, he taught for a year in the History Department of Northwestern University. The following year, 1974, he joined the History of Medicine Program at University of Minnesota. His broad interest is the intersection of scientific expertise and modern society, particularly aggregate problems of health and health care: the history of disease, the development of health policy, the evolution of social welfare, the changing nature of hospitals, the history of public health and preventive medicine, and the history of epidemiology. Modern Britain and America are particular interests. He has published two books: Victorian Social Medicine: The Ideas and Methods of William Farr (Baltimore: Johns Hopkins Univ. Pr., 1979); and Sir Arthur Newsholme and State Medicine, 1885-1935 (New York: Cambridge Univ. Pr., 1997). His articles and book chapters deal with the history of epidemiology and public health, with poverty and disease, with nineteenth-century theories of disease, and with history of vital statistics. 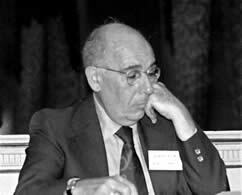 He is currently studying influenza research in the twentieth century. The Beaumont lectures are free and open to the public. 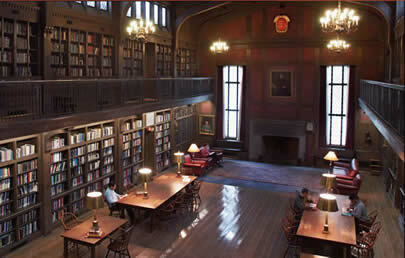 The Beaumont Club lectures are held at Yale University in the Historical Library at the Sterling Hall of Medicine within the Yale School of Medicine campus. 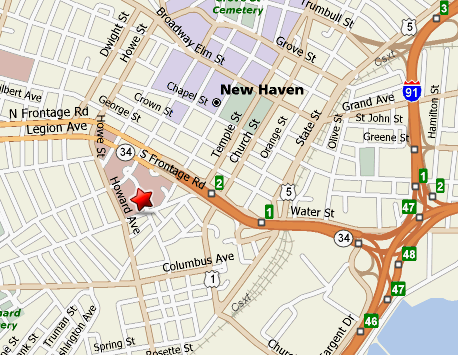 The address is 333 Cedar Street, New Haven. Lectures begin at 5:00 p.m. and end at 6:00 p.m. with tea served prior to each lecture at 4:30 p.m. Sherry is served immediately following the lecture. Dinner is served for Beaumont Medical Club members in the Beaumont Room and members are encouraged to make reservations as early as possible. Founded in 1986, The George Rosen Memorial Lecture, honors a renowned figure in the history of medicine, whose writings, activism, and teaching were formative in shaping the course of current medical studies and public health policies.